Australia’s active global engagement on development and its focus on fragile small island states and disaster risk reduction are commendable. However successive cuts to the country’s aid budget since 2013 are impairing its efforts, according to a new OECD Review. 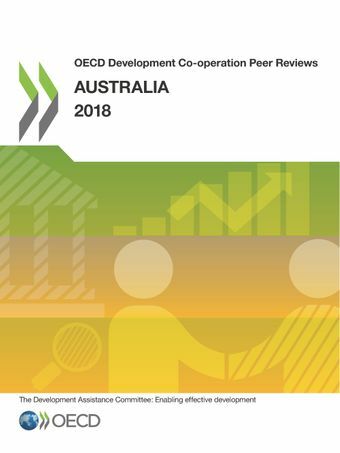 The latest DAC Peer Review of Australia says the introduction of a robust performance-based framework for aid policy in 2014 and the integration of aid agency AusAID into the Department of Foreign Affairs and Trade in 2013 – though not without challenges – have encouraged innovation and a more development-friendly outlook on trade. Australia now needs to restore its official development assistance (ODA), which projections indicate could drop to an all-time low of 0.22% of gross national income in 2017/18. Australia’s strong commitment to mainstreaming gender is particularly noteworthy on the policy front. Australia continues to champion gender equality internationally, regionally and bilaterally. A dedicated strategy, performance targets, financial resources and political leadership underpin this commitment, enabling Australia to make gender equality a genuinely cross-cutting issue (see Box 2.1).